If you are a small to medium sized business that is planning a server installation of a new server, whether they are brand new or part of a system upgrade, you must make sure they are installed and managed correctly. Server installation is a big job and one that needs careful planning to keep downtime to a minimum. If the server installation process takes longer than it needs to, it will cost your business time and money, neither of which you can afford to lose. Bean IT provide a reliable, professional installation service using our expert team of engineers who will install your new servers and have your business up and running again as quickly as possible. Keep in mind however, installing a server is one thing but it also needs to be carefully managed. A lot of small and medium sizes businesses don’t pay any attention to server management until something goes wrong. Please don’t be one of them! Servers are one of the most important aspects of your business. You probably don’t realise how much you depend on them until they go wrong. You should be able to depend on your servers, trust they are secure and most importantly they should be fast. However, managing all of this on your own is a huge task. You should be focused on running and growing your business, not worrying about server speeds and troubleshooting! Software and Updates Management – this involves fine tuning the servers, making sure they are running on the latest software and ensuring you have sufficient anti-virus and spam protection in place. 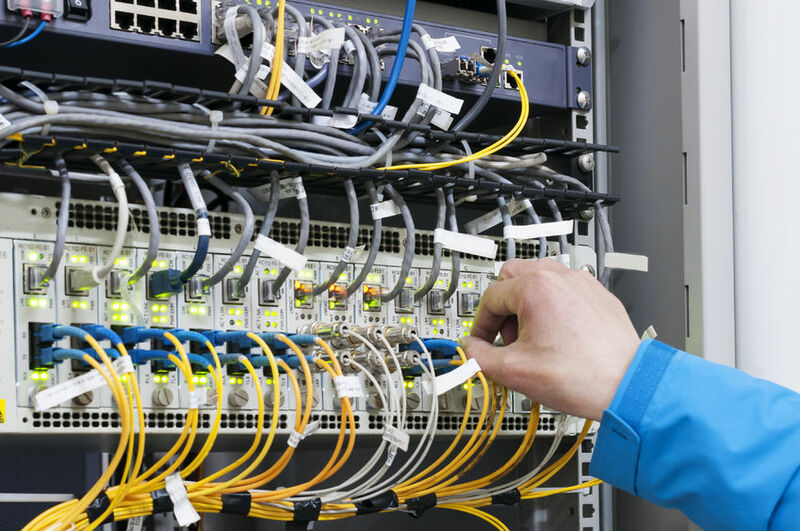 Monitoring and Troubleshooting – all servers should be monitored 24/7. As soon as a problem is detected it needs to be dealt with instantly. Most servers are monitored every few minutes to ensure problems are found, diagnosed and resolved as quickly as possible. Server Optimisation – servers can be tricky machines to work with and must be optimised to make sure they run smoothly and don’t create any problems for you or your business. If you outsource your server management make sure they conduct regular stress tests, perform regular backups and are always optimising your servers for maximum productivity and performance. It is crucial to keep an eye on current trends in the industry relating to server technology and development. What was cutting edge today, could be old news tomorrow. Make sure you don’t get left behind because your business could suffer as a result. Bean IT will keep you and your servers up to date with all the latest technology to ensure your business is always running at 100%. With high performing, optimised servers your computers and networks are guaranteed to run smoothly; leaving you and your team to focus on building and growing your business. The True Business Cost of CryptoLocker and other Malware SharePoint or Server? Which one is Right for your Business?